Godrej Appliances to add 65 exclusive brand outlets and set to launch products like ACs, washing machines in premium segment. 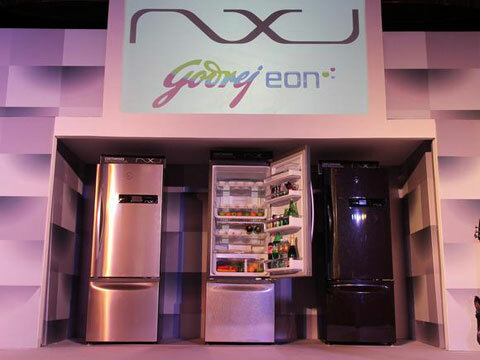 Godrej Appliances, under its brand NXW, is set to launch products such as ACs, washing machines, microwave ovens in the premium segment, whilst expanding their physical reach by way of adding up to 65 exclusive brand outlets. Godrej Appliances’ Business Head and EVP Kamal Nandi also added that apart from these, there will be more launches as well. Other than that, the company will also focus to expand its network of exclusive brand outlets (EBOs). “We have started building exclusive outlets across the country. By the end of 2015, we had 35 and by December 2016, we would be getting close to 100,” he said. Nandi also added that NXW products would also be available in those non-metro markets as it sees potential customers in those regions for premium products. Additionally, the company is also looking at export markets with some NXW products, which are designed keeping in mind requirements overseas.